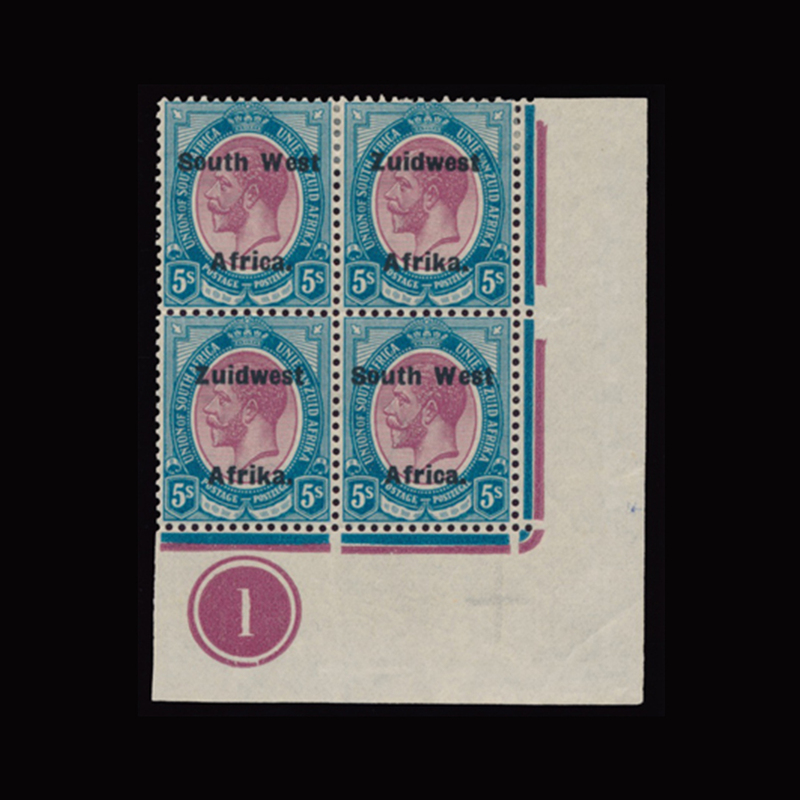 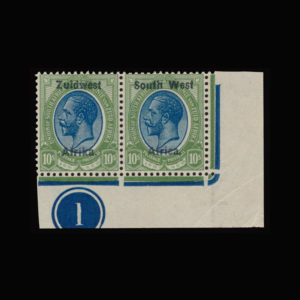 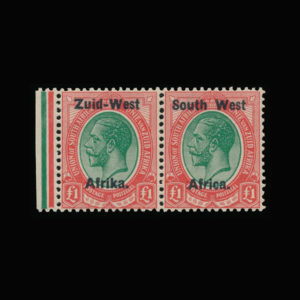 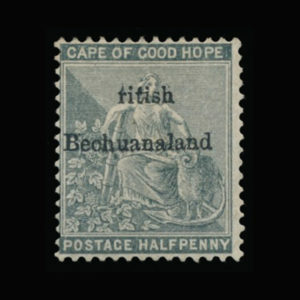 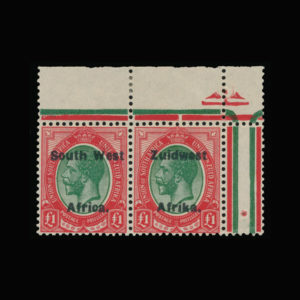 South West Africa 1924-1926 King George V King’s Heads. 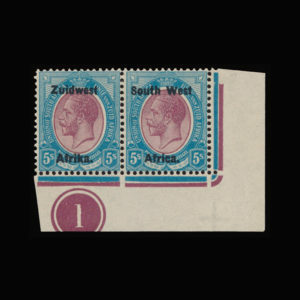 5/- purple and blue (shades). 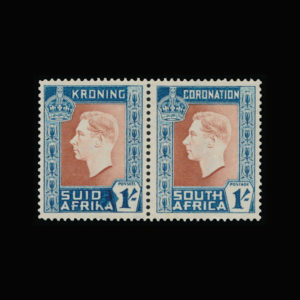 Setting VI. 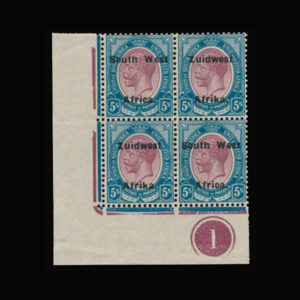 South East corner Control number bilingual block of four. 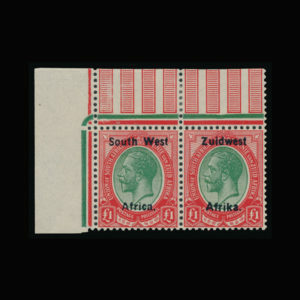 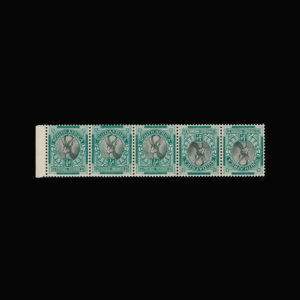 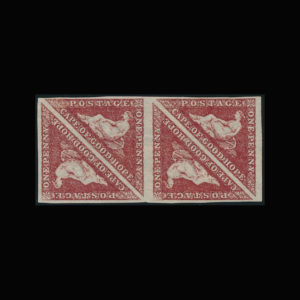 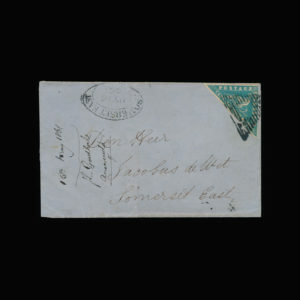 Superb mounted and unmounted mint condition (the bottom pair is unmounted). 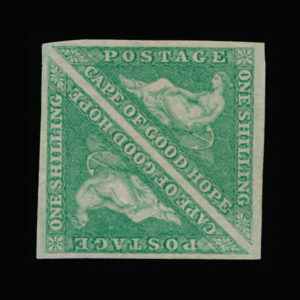 OUTSTANDING AND RARE.